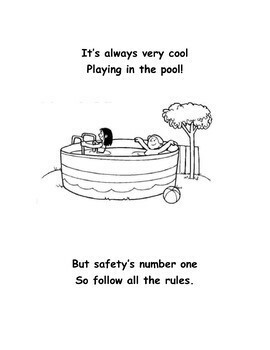 Summer is approaching and it is always good to remind children about Swimming Pool Safety in a fun way. 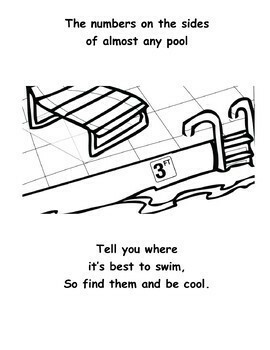 Children will start singing the pool safety rules with Jingle Bell Song. 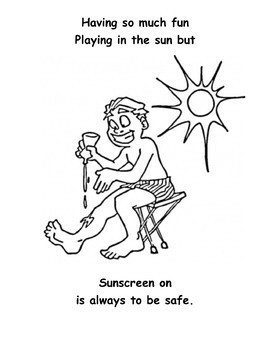 The illustrations help children understand the importance of the rules. Materials: Students bring from home pool toys, inflatables, sunscreen, sunglasses, hats, etc. 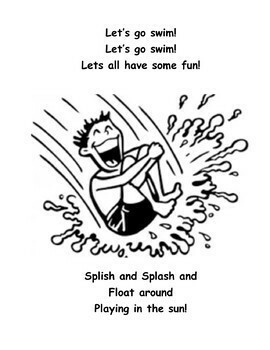 The teacher read or sing the book lyrics along and discuss with the students why is important to follow the swimming pool rules. Take a picture of the student wearing pool attire; print the pictures in a format 4x6 in the computer. The students color the book and glue their picture on page 10. Read or sing along with them till they start singing the song without help.